Everyone knows that food always tastes best when you’re outside enjoying the fresh air! If you’re planning a picnic this summer, but don’t know what to serve, check out these no-hassle recipes! Filling and full of flavor, these meals are sure to make your picnic memorable! When planning meals for a picnic, it’s important to choose something that is easy to make and hassle-free. 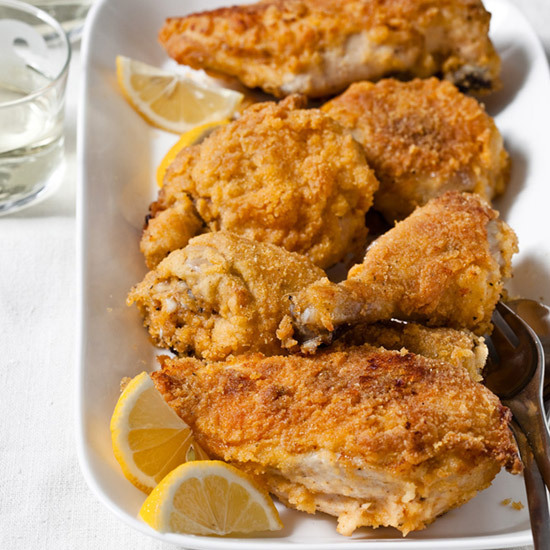 We love classics like fried chicken and potato salad for a picnic! 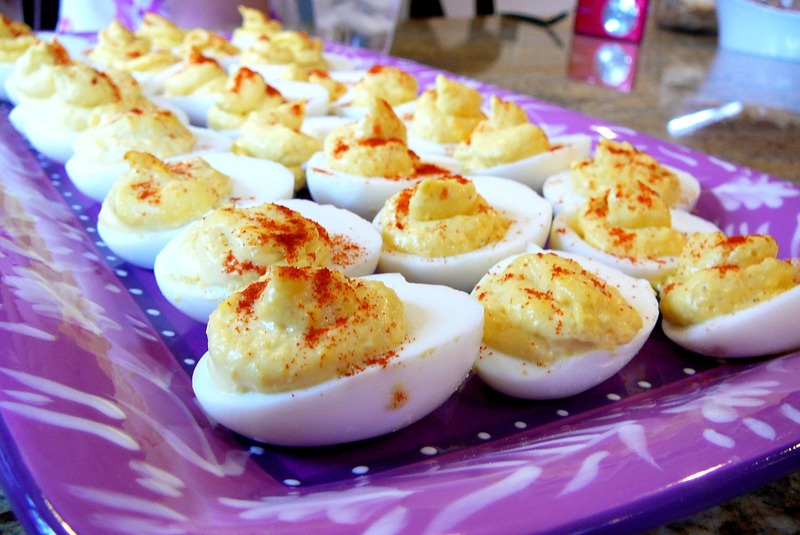 Other dishes to add to your picnic menu that are sure to be a hit are deviled eggs and pasta salad. 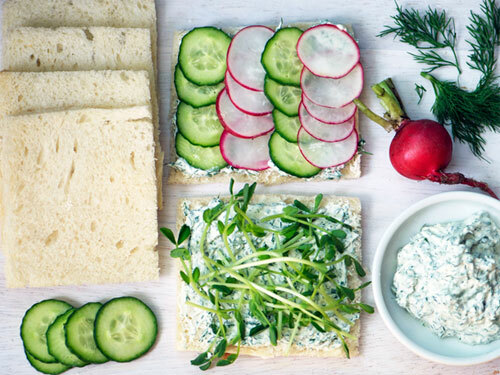 For sandwiches, try herbed cucumber and radish tea sandwiches. They’re perfect for vegetarians, and are really light, too! 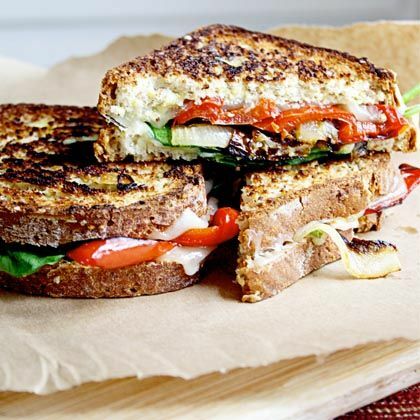 So, get out your pen and paper and jot down these delicious recipes! 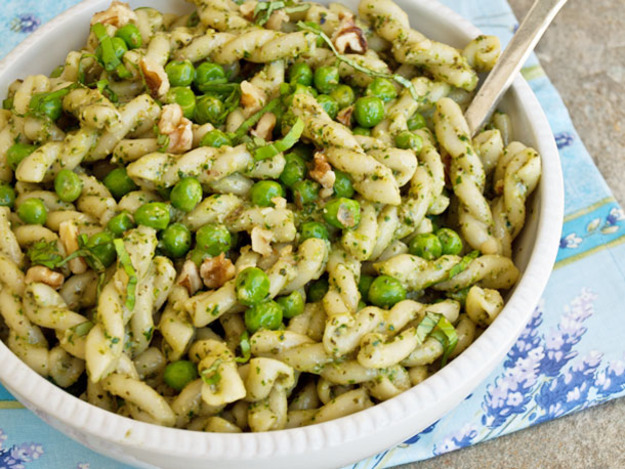 This pasta salad is packed with flavor with a pesto dressing and green peas. Lemon juice and scallions brightens it up. For the pesto, combine the herbs, garlic, cheese, nuts, and lemon juice in a food processor. Blend until finely chopped. While the machine is running, slowly add the olive oil. 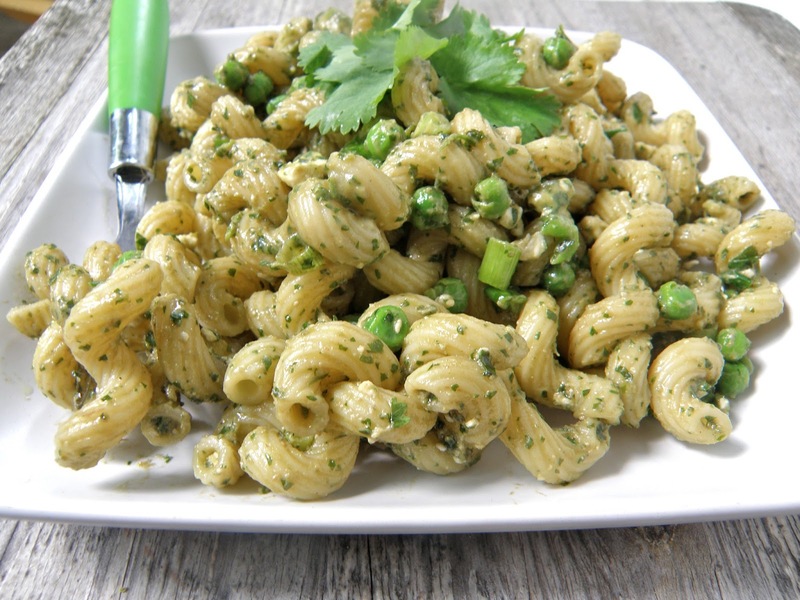 In a serving bowl, combine the pasta and peas. Add the pesto and stir to coat. Taste and season with salt, pepper, and lemon juice if needed. Garnish with chopped nuts, scallions, and chopped herbs. 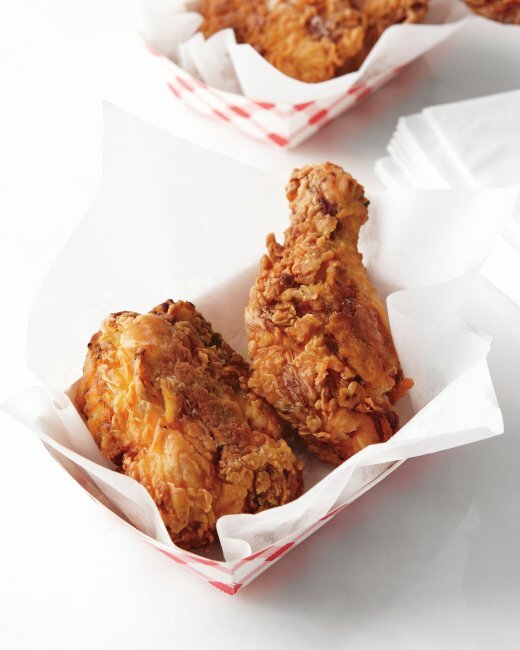 A picnic staple, this fried chicken will be the most flavorful you've ever tried! Soaking the chicken in buttermilk beforehand keeps it juicy, and the Tabasco sauce gives it an unexpected kick. To make the marinade, whisk the buttermilk, cayenne, salt, pepper, Old Bay, Tabasco, and honey in a large bowl. Place the chicken pieces in the bowl and submerge them in the marinade. Cover and put in the fridge. Allow to marinade for at least 12 hours. When the 12 hours have passed, take the chicken out of the fridge and let it come up to room temperature, still in the marinade. This will take about 45 minutes. Preheat oven to 200 F and heat the oil in a deep pot or a deep-fryer over high heat. Oil should be 3 inches deep, and hot enough to start popping. While the oil is heating up, combine paprika, chili powder, onion powder, garlic powder, Old Bay, cayenne pepper, celery seed, salt, and pepper in a large bowl. Stir to combine. Pour half the mixture in another bowl and set aside. Add the remaining half of the spice mix to flour to the large bowl and mix well. When the oil is hot, put a piece of chicken into the dredging flour bowl and cover with flour until coated. Do the same with all the chicken pieces until there isn't any more space in the bowl. Fry all the chicken pieces for 8 minutes, until golden brown. Take the chicken out and place it on a baking sheet. Sprinkle with the spice mix. 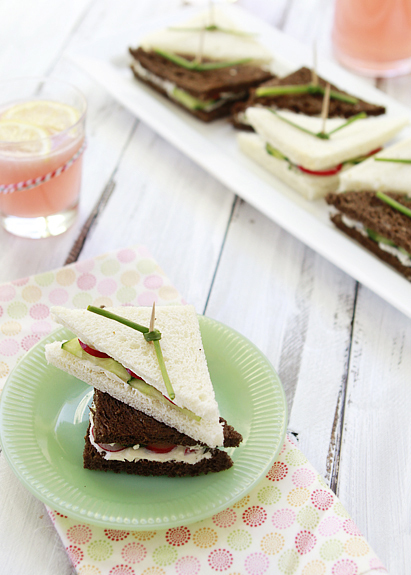 These classic tea sandwiches are perfect for vegetarians, are they're really light, too! 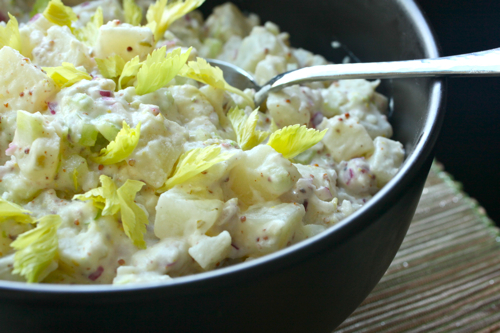 Crunchy radishes and cucumber combine perfectly with flavorful herbed Greek yogurt. In a bowl, combine yogurt, dill, chives, lemon juice, and Worcestershire. Season with salt and pepper to taste. Spread one side of each slice of bread with butter. Spread about 1 tbsp of the yogurt mixture over the butter. Top 6 slices with cucumber and radish slices. Top vegetables with 2 tbsp pea shoots, then cover with the remaining yogurt-spread slices. 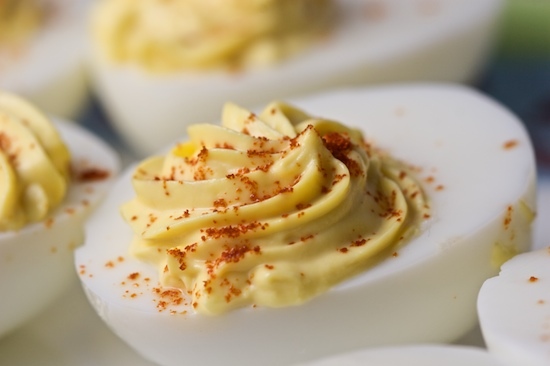 For the very best results with these deviled eggs, use a good olive oil. Also, if you use eggs that are a few weeks old, they'll peel easier than very fresh eggs. Boil eggs and peel them. Slice each egg in half lengthwise. Place all yolks, mayonnaise, mustard, half of the vinegar, and hot sauce in a food processor. Blend until smooth. Add Pick 12 of the best looking egg white halves and set them aside. While the food processor is still running, slowly drizzle in 2 tbsp of olive oil. Season with salt, pepper and remaining vinegar to taste. Transfer the yolk mixture to a zip-lock bag. The filling and the egg white halves can be stored in the fridge overnight prior to serving. Cut off the corner of the zip-lock bag and fill the egg whites, overstuffing them. Drizzle with the remaining olive oil, and sprinkle with black pepper, crushed red pepper, and sea salt. Serve immediately. 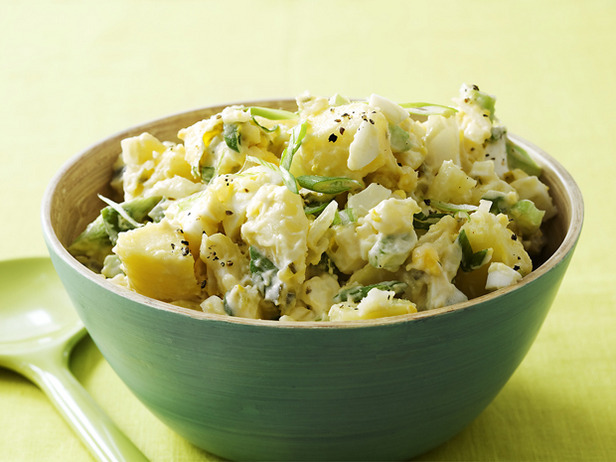 A must for every picnic, this potato salad is creamy and full of flavor. It's the perfect make-ahead salad that'll save you time. Plus, making it ahead of time allows the flavors to marinade! Add water to a large pot. 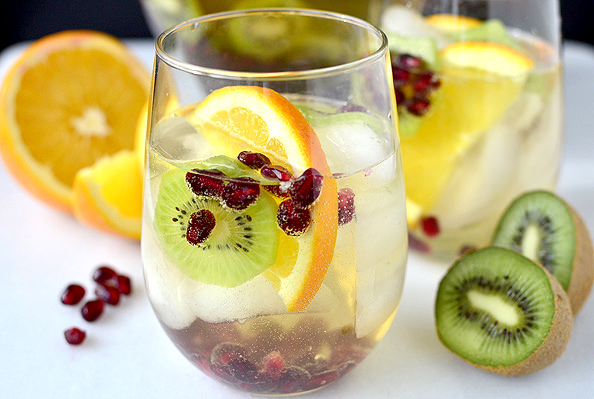 To the water, add 2 tbsp salt, 2 tbsp sugar, and 2 tbsp vinegar. Bring to a boil over high heat and reduce to a simmer. Cook until potatoes are tender, about 10 minutes. Drain the potatoes and transfer them to a rimmed baking sheet. Spread them out evenly and sprinkle them with 2 tbsp vinegar. Allow to cool to room temperature. Combine the remaining sugar, remaining vinegar, onion, celery, scallions, parsley, pickles, mustard, and mayonnaise in a large bowl. Stir to combine. Add in potatoes and stir. Season with salt and pepper. Cover and place in the fridge for 1 hour or up to 3 days before serving to allow the flavors to intensify. Photos: A Calculated Whisk, Serious Eats, Martha Stewart, Good Life Eats, Cooking Whims, Pinch My Salt, Food LVE.